Our DFIR Summits are designed to help you enrich your Cyber Intel, Threat Hunting, and Digital Forensics & Incident Response skills. DFIR Summits are two-day events that focus on the most current topics in Cyber Threat Intelligence, Threat Hunting, and Digital Forensics & Incident Response. Our Summits feature user panels, debates, vendor demos and short talks by industry experts to help you get the most up-to-date information security solutions in the least amount of time. For a sample of the compelling industry content DFIR Summits bring to the community, check out our recent Summit lecture videos here. For many Summits, we run a public Call for Presenters (CFP). If you wish to be notified of open CFPs and their deadlines, please send a note to SummitCFPs@sans.org to be added to our notification list. Highly technical Summit talks - the industry's top practitioners will share their latest digital forensics and incident response research and solutions. Nine SANS DFIR courses - Enhance your knowledge base and add to your toolkit with a hands-on, immersive course taught by top SANS instructors and course authors. DFIR NetWars - The Coin Slayer! - Earn DFIR course coins by correctly answering all questions from all four levels of one or more of the eight DFIR domains. Leave Austin with a motherlode of coinage! Will you be the Hunter or the Prey? 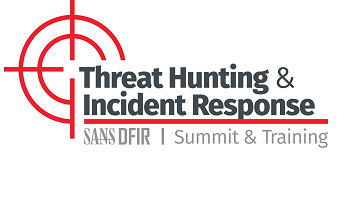 The Threat Hunting & Incident Response Summit will focus on specific hunting and incident response techniques and capabilities that can be used to identify, contain, and eliminate adversaries targeting your networks. SANS and our Founding Partner Carbon Black are pleased to invite you to the Summit where you will have the opportunity to directly learn from and collaborate with incident response and detection experts who are uncovering and stopping the most recent, sophisticated, and dangerous attacks against organizations. The annual SANS Digital Forensics & Incident Response (DFIR) Summit Prague is the most comprehensive DFIR event of the year in Czech Republic! Held in the beautiful city of Prague, no other event will give you the chance to meet an array of influential experts, immerse into hands-on training, and network with digital forensics and incident response professionals from around the world in such beautiful location. Join us at the DFIR Summit Prague, exchanges ideas, learn the latest research to help you overcome investigative obstacles and share methods and techniques proven effective in digital forensics! This is your opportunity to learn from leading industry practitioners.